Growing up in Kolkata, a treat from the neighbourhood Monginis bakery was the highlight of the week for the little me. 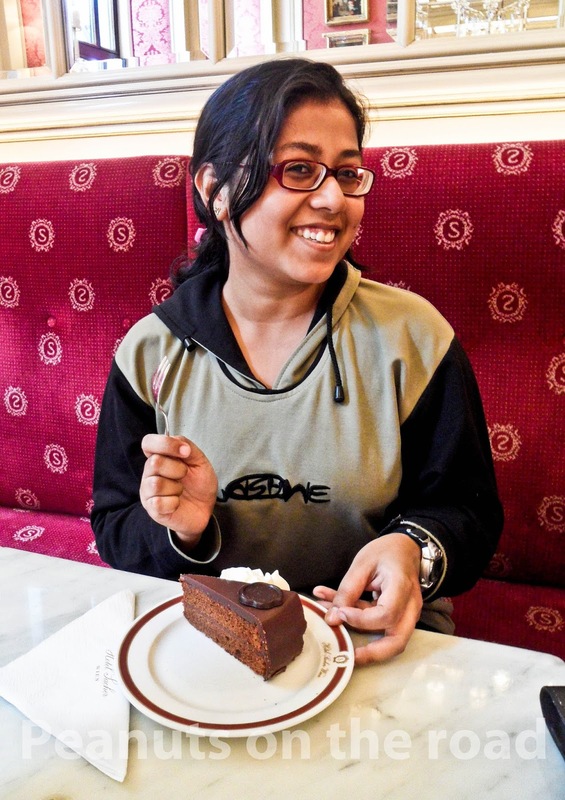 I would explore a new pastry each week making puppy eyes at my ma or baba, whoever might have taken me to the shop that week, not that there were too many options and I soon settled down to choosing one or the other of my favorites - the Sacher pastry being one of them. Even to this day, Monginis sells the Sacher pastry and you can hear customers asking for the 'Say-shar' and getting the same for a meagre 25 rupees. 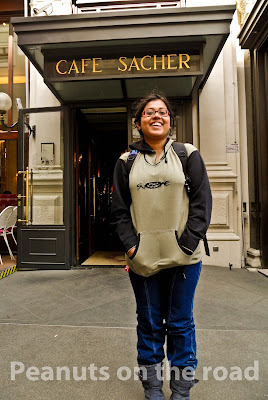 Years later and with a decidedly harder to satisfy taste-bud, I read about the Cafe Sacher in Vienna where some 180 years ago, the Sachertorte was invented. It is then needless to mention that I put it on my priority list to visit the cafe while I was in Vienna. The Cafe oozes class to the point of being snooty and makes you feel very dressed down unless you are wearing your Sunday best and a string of pearls. I have heard from many American travellers that they have actually been pointed to the 'tourist section' even though the main lounge area was free. I visited the cafe with two of my German colleagues and even though I was in a sweatshirt and jeans and my colleagues even more casually attired, we were ushered into the main lounge with a smile. 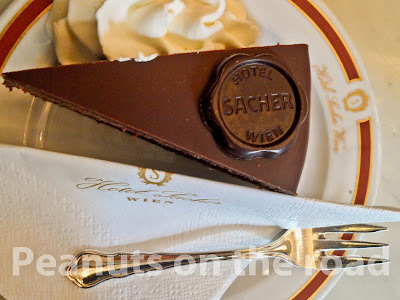 If you visit Cafe Sacher for the first time, do order the Sachertorte - after all that is the entire point of nervously entering this expensive cafe that is completely out of your league - you know it and the waiters let you know that they know it too. The Sacher torte is a rich chocolate sponge cake with a layer of apricot jam in the middle and topped with the richest, most decadent chocolate icing you can imagine. At the Sacher cafe, its birthplace, it is served with whipped cream and you are expected to order a cup of coffee with it and you are expected to pronounce it the way it is supposed to be pronounced - 'Za-kher'. I had the Sacher torte and a kleiner Brauner (small coffee) primarily because I could afford no more. It was the best Sacher cake I ever had. But then again, what do I know, I only have the 25 rupee shadow from Monginis for reference. But even gourmet travellers recommend other joints for better and decidedly cheaper Sacher pastry in Vienna. Some recommend to skip the Sachertorte and try the apfelstrudel instead. 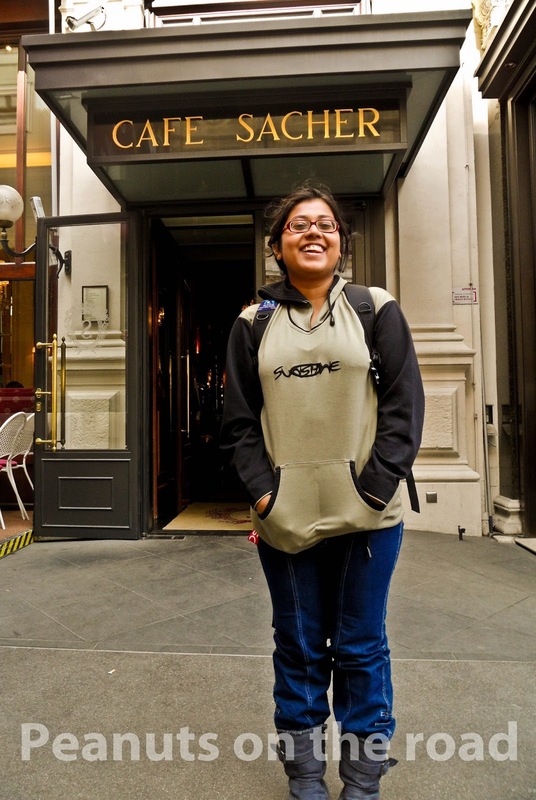 Yes, the Sacher cafe is expensive. 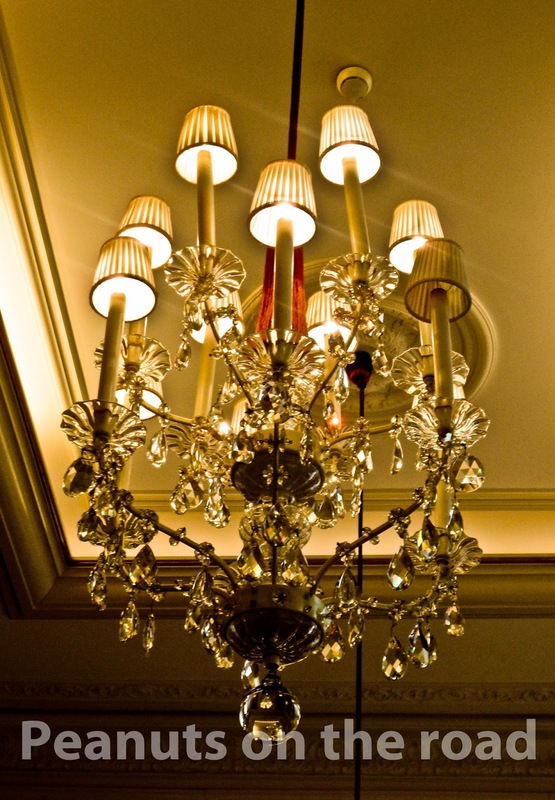 Yes, the Sacher cafe is snooty. Yes, there are better pastry shops in Vienna. 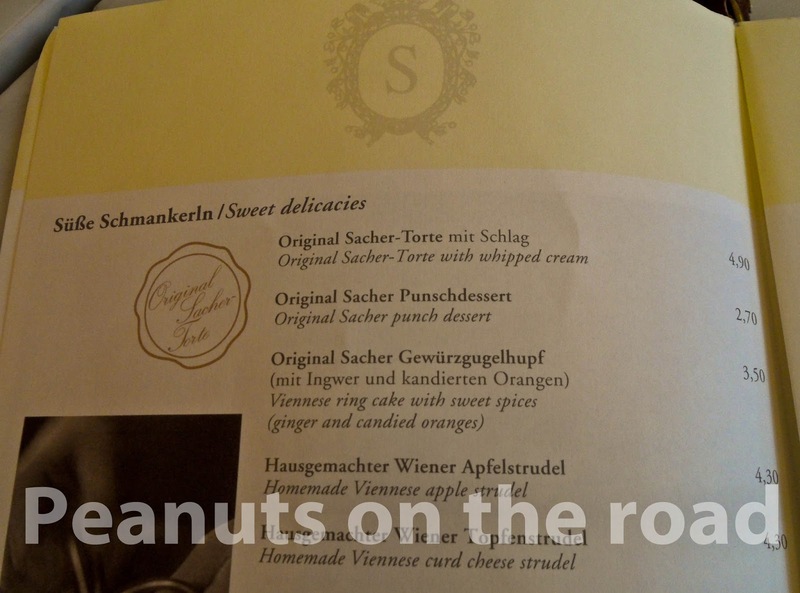 But when you are in Vienna and you have eaten and loved the 'Say-sher' from Monginis all your life, do drop in sat the Cafe Sacher. Yes it is expensive but you are not just having a piece of cake, you are getting a slice of history. Have you visited Cafe Sacher? What was your experience? What is your favorite pastry shop? Do share in the comments below. Nice reading. 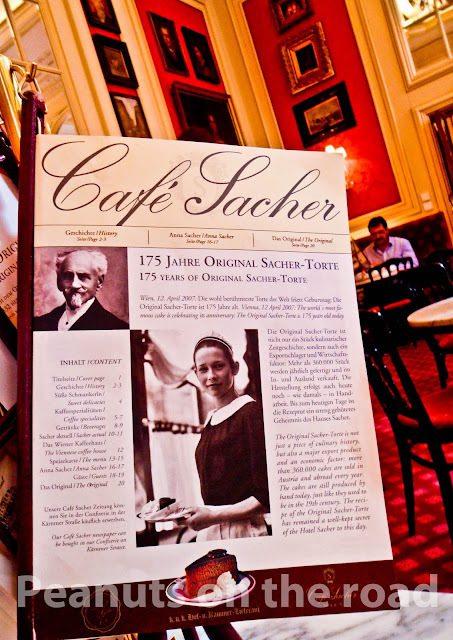 I virtually enjoyed every moment with you at Cafe Sacher, Vienna. Thank you. Will actually go there together someday.